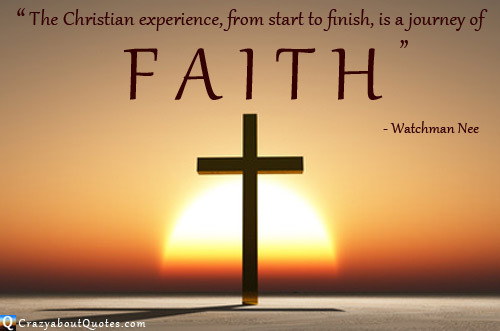 A Top 10 list and more, of Christian quotes to inspire you in your journey of faith. trying to live by faith, is you're trying to get better every day. "Christianity helps us face the music even when we don't like the tune." 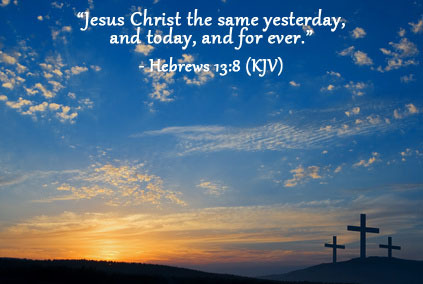 "The Christian life is not a constant high. I have my moments of deep discouragement. and say, 'O God, forgive me,' or 'Help me'." and that we lived up to what we profess. and what besides - why, "amazing as an army with banners!" an honest, upright Church would shake the world!" 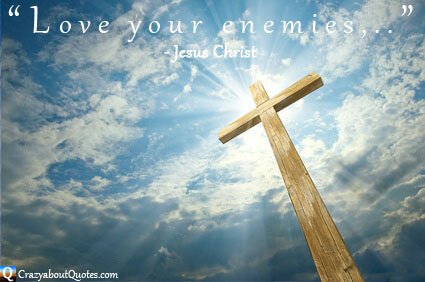 "Be united with other Christians. A wall with loose bricks is not good. The bricks must be cemented together." "It is our privilege to know that we are saved." "A Christian has no right being in a fight unless it's a spiritual fight." because God is not a Christian! help us to realize the immensity of God." than to be alive without breathing." have as yet heard nothing of Christianity." 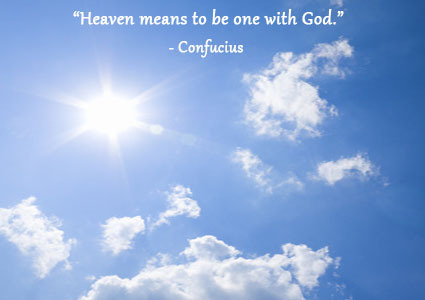 "For the Christian, heaven is where Jesus is. We do not need to speculate on what heaven will be like. It is enough to know that we will be for ever with Him." any more than going to a garage makes you an automobile." their so-called real life and their so-called religious one. and the invisible world was just not there for him. It had become natural for Lewis to live ordinary life in a supernatural way." "The world does not need more Christian literature. What it needs is more Christians writing good literature." but a relationship and a lifestyle. "Christianity certainly involves hardship and discipline. But it is founded on the solid rock of old fashioned happiness. Jesus is in the happiness business."